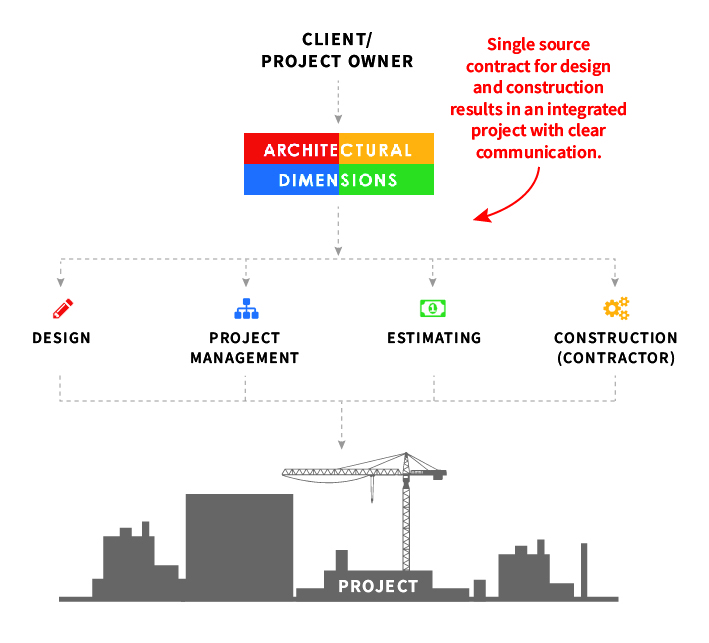 The design/build method of integrated project delivery alters the traditional design-bid-build sequence of work in answer to many clients’ desires for a single point of contracted responsibility, and as means of reducing both risk and overall costs. In our role as a design-builder, AD acts as advocate, architect, steward, and team-leader, seamlessly integrating both design strategy and construction expertise via this single point-of-contact delivery method. We contract directly with our clients as the design-build prime, allowing us to provide complete continuity between a project’s aims and its outcome. In doing so, AD acts as both the designer and builder concurrently, coordinating a team of consultants, subcontractors, and materials suppliers throughout a project’s life cycle.